YMCA (Young Men’s Christian Association) is a worldwide, community-focused nonprofit, established in 1844 with recreational programs & services for all ages. YMCA has +125 associations, the YMCA of Columbia-Willamette hosted its first meeting in 1868. Since then, YMCA of Columbia-Willamette provides quality affordable services that build healthier kids, strong families and better communities, inspired by fitness, faith and fun. YMCA deployed applications via Citrix since 2004. YMCA initially chose Citrix because of bandwidth limitations at the remote sites (frame relay, T1s, VPNs, etc.) Over time, the evolution of the Citrix offering became too complex to manage and the licensing costs prohibited to expand. For YMCA’s IT department, user-friendliness and ease of management of technology are very important. With the help of Bond Consulting Services, YMCA was able to replace Citrix with Awingu, increasing the end user satisfaction and lower the burden for the IT department to manage and support the solution for the remote workers. The intuitiveness of Awingu for the end user and the ease of setting up a basic Multi-Factor-Authentication was a huge plus for YMCA. The fact that Awingu runs entirely in the browser lowers the workload for the IT department, there is no more need to configure clients. Even Quach, IT Director at YMCA Columbia-Willamette, tells us that features such as file sharing, screen sharing, OneDrive integration, … all put the cherry on top. 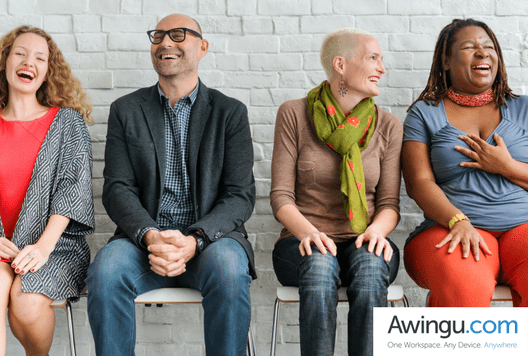 Awingu is a partner-driven company, relying on trusted partners to help implement, support and increase customer satisfaction through valued partnerships. Within the United States, Bond Consulting Services (BCS) is an Awingu Certified Partner and a Certified Microsoft Partner. BCS is a national consulting firm that specializes in implementing and supporting Microsoft Dynamics suite of products. BCS integrates Awingu in the Dynamics GP environment or offers Awingu as a standalone solution. Are you also looking for an easy to manage and user-friendly solution to offer to your remote workers? Awingu is your solution! Contact us or launch a 14-day free-trial!